Patient information must be gathered from a variety of sources. 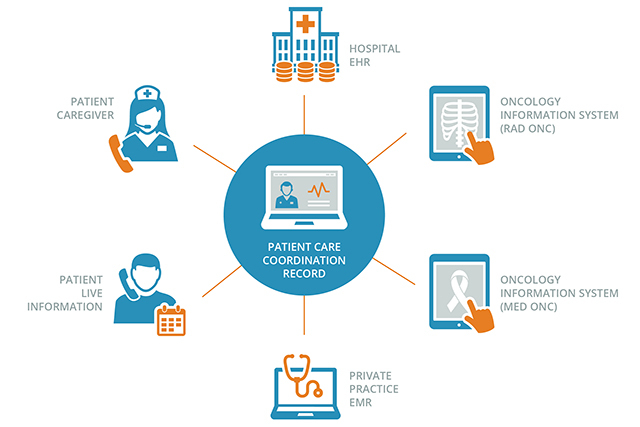 In the decades since oncology navigation became a practice embraced by many hospitals, some things have changed while others have remained the same. Treatment techniques and research protocols have become more sophisticated and advanced, but the technology used by nurse navigators and care coordinators has been frozen in time. Yes, moving from paper-based charts and sticky notes to Excel spread sheets represents progress. But navigators are essential to providing quality oncology care and the vast majority are using badly outdated or ill-suited technology to support their patients in the push to better outcomes. 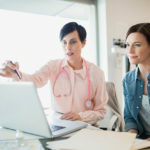 Then, there is the highly valuable information that patients possess about their conditions, which may not be collected in any of the provider-centric systems. It is another set of data that needs to be reviewed, and may be in the form of phone calls, emails, or even texts. This deep and wide trove of information requires navigators to be data mining experts, as well as clinical supporters for their patients. The constant searching for data across different systems presents many problems for both navigators and patients including time wasted, duplicative communication, and lack of clarity about important steps in the treatment plan. To be optimally effective and productive in serving patients — a top priority of nearly every navigator I have ever met — navigators need better systems with easier access to integrated data so they can understand where patients have been in their treatments, where they are going next, and other vital information that makes every patient unique (especially relative to distress, possible depression, and financial and logistical challenges to treatment).